Both common and native in Delaware, sweetgum prefers wetter sites but will grow on many soils. Easily identified by its five-pointed, star-shaped leaves and its spiny “monkey balls,” it is commonly planted in urban areas although its roots require a large area. Fall color can range from yellow to maroon to purple—all on one tree. Its wood is difficult to dry and has historically been used for low-value products such as peach baskets and ice cream spoons. 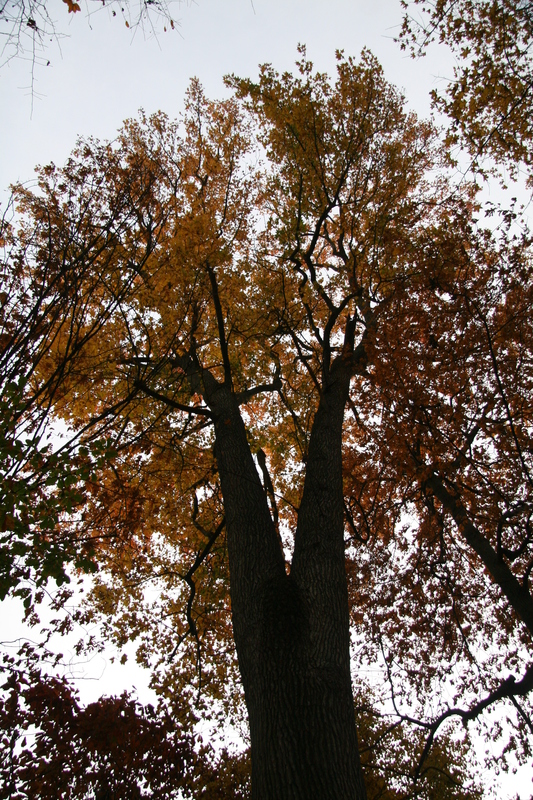 Sweetgum has leaves shaped like a six-point star missing its bottom point. The reddish-brown fruit (“monkey ball”) matures in October, and persists until early the next year. 1 west of Bryans Store Rd.